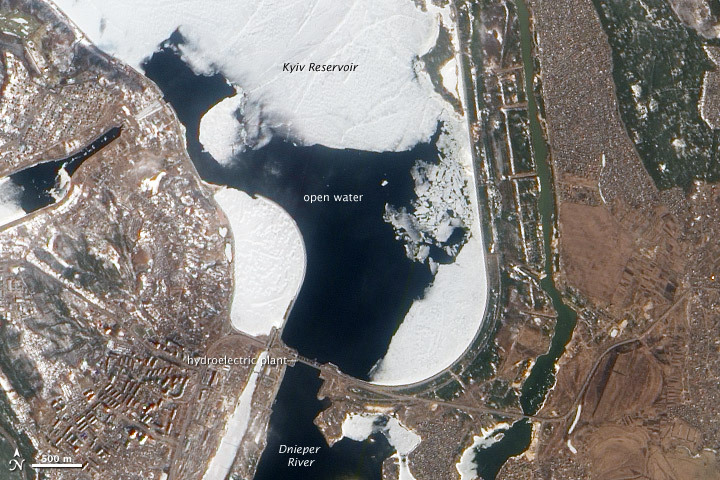 After an unsually cold winter in Ukraine, the spring melting of the Kyiv (or Kiev) Reservoir on the Dnieper River has caused potentially hazardous rafts of ice to start drifting toward a dam and hydroelectric plant at the southern edge of the reservoir. 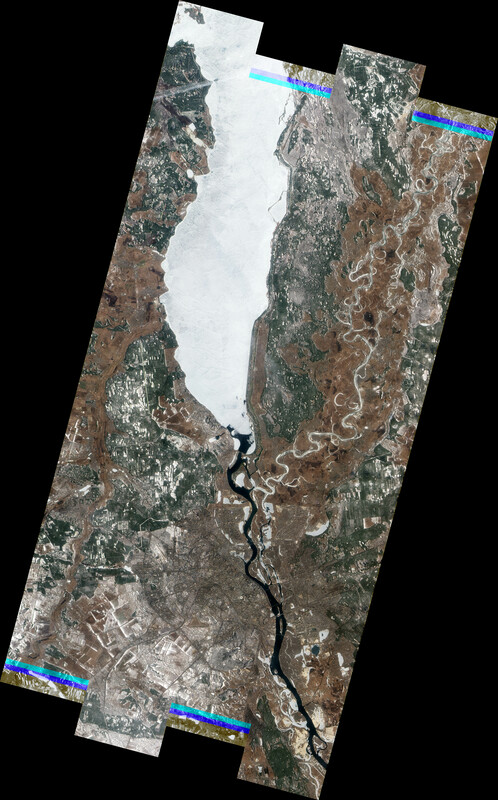 When the Advanced Land Imager on NASA’s Earth Observing-1 (EO-1) satellite captured this natural-color image on March 17, 2012, open water still surrounded the dam, but many pieces of ice were visible just to the north. 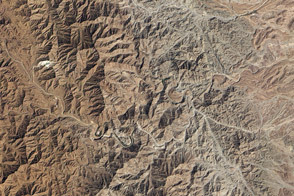 Although Ukrainian authorities are monitoring the dam closely, they believe the risk that the dam will fail is small. The average thickness of the ice on the reservoir is about 40 centimeters (16 inches), half what it was in 2011 when heavy flooding prompted officials to abruptly lower the water level of the reservoir. According to the National Radio Company of the Ukraine, the CEO of the company that operates the dam doesn’t expect similar action will be needed this year. The dam is of particular importance because it sits at the head of a series of dams on the Dnieper River. If it were to fail, the floodwater could potentially overwhelm downstream dams, causing severe flooding in Kyiv and other cities. The dam also receives particular scrutiny because the Kyiv Reservoir contains sediments contaminated with radionuclides from the Chernobyl nuclear meltdown of 1986. The defunct plant is located about 80 kilometers (50 miles) northwest of the dam, and a river that flows near it drains directly into the Kyiv Reservoir. 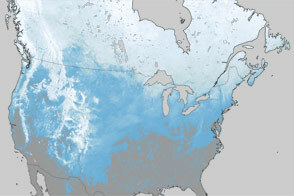 NASA Earth Observatory image created by Jesse Allen, using EO-1 ALI data provided courtesy of the NASA EO-1 team. Caption by Adam Voiland. Authorities keeps a watchful eye on ice near a key dam on the Kyiv Reservoir. Kyiv Post. (2010) Fish Die as Ukrainian Authorities Empty Reservoir. Accessed March 30, 2012. Korrespondent.net. (2012) Kiev Authorities Fear Dam Failure in Vyshgorod (in Russian). Accessed March 30, 2012. Korrespondent.net. (2012) Rumors About the Possibility of Dam Failure in Vyshgorod are Unfounded (in Russian). Encyclopedia of Ukraine. Dnieper River. Accessed March 30, 2012.